The services that FerWay can provide are illustrated by means of practical ATM System questions and paths for solution that FerWay services will employ. Most importantly, these questions illustrate the types of challenges in which FerWay can support your organization. Feel free to contact FerWay for your specific ATM Developments and their innovations. In this section, some examples of questions that may arise in the development of Trajectory Prediction (TP) are given. FerWay has extensive experience in the field of TP design, development and validation. Check our Project section for an illustration of these activities. FerWay can support your organization whether you need to build a new TP from scratch, evaluate and tune an existing TP or upgrade TP functionality. Question: Defining the accuracy requirement for a Trajectory Predictor. Most of our ATM System functionalities rely on a Trajectory Predictor (TP). Which accuracy requirements do we need the TP to satisfy in order to be able to serve these functionalities? of the ATM System functionalities using the TP, for example: AMAN, Conflict Detection, Controller Display, etc. of their associated operational performance requirements. the applicable operational concept (procedures, daily practices, see Working method). Other recommendations that may result from the analysis, like changes to operating practices or procedures. 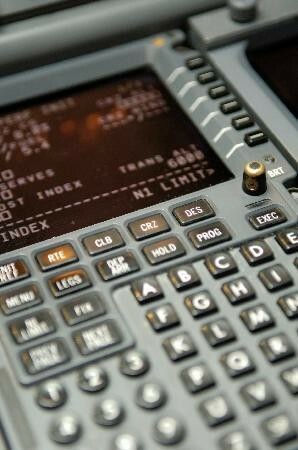 For example, a procedure may request pilots to report their target descent speed before commencing their arrival. This information may be fed into the system to enhance initial prediction accuracy. Question: Measuring the accuracy and performance of a Trajectory Predictor. How do we establish the current accuracy performance of our Trajectory Predictor? How do we establish functional correctness? Data from the operational system is collected and processed concerning flight and radar data as well as output from the Trajectory Predictor to the extent available. for operationally meaningful trajectory points. Detailed case studies are performed for a select set of flights to detect possible anomalies or functional shortcomings of the TP function. More extensive comparative analysis can be performed by validating against a reference TP. Question: Upgrading the Trajectory Prediction function. We have established higher accuracy requirements for our Trajectory Predictor (TP). Do we need to develop a new TP or de we upgrade our current TP? First, an accuracy analysis is performed to not only ensure a new or upgraded TP is necessary, but also to identify the areas for improvement. This may include a sensitivity analysis of the current TP. Modeling improvements: turns, weather model granularity, integration, etc. Question: Implementing a hi-resolution weather model in the TP. Currently we use meteorological data (winds aloft and temperatures) with a low granularity. What will be the benefit of using hi-resoution weather than can be provided by contemporary weather models like HIRLAM or RUC? Which design elements do we need to consider to attain our TP accuracy targets? The accuracy of the existing weather model in the current TP is established. Potential accuracies are established using an approximate model of the TP, but using hi-resolution weather data available. A sensitivity analysis is performed to identify the impact of design choices. This is needed as the implementation of hi-resolution weather data bring about many decisions affecting TP accuracy and computational performance of the TP function. These need to be evaluated in the context of the client application(s). Specifications for implementation of integrating hi-resolution weather data are drafted. Question: Achieving Trajectory Prediction Synchronization. We established we need to synchronize two different TPs used in our ATM System. How can this be achieved and to which extent should we pursue synchronization? The client applications of the TPs involved, as well as the TPs accuracies. The TP algorithms, input and output characteristics. The causes and impact of TP differences are identified. The degree of synchronization required is calculated or derived. Synchronization possibilities are defined for the TPs involved. For example: simple coupling on trajectory level or more advanced coupling on the intent level. Question: Dealing with more than one Trajectory Predictor in an ATM System. We want to introduce new ATM System functionalities which will work with a different Trajectory Predictor (TP). What are the effects of such differences? Are these effects acceptable or how can the negative effects be mitigated? A full survey of the current uses of the TP function(s) is (are) made. An analysis of the application of the TP-to-be-introduced is conducted. An impact analysis is performed of the effect of another source of Trajectory information. For example: A TP is used in the overall ATM System for driving presentation events. Another TP serves a conflict detection module. A third TP is considered for introduction to serve the an enhanced AMAN. The integration of the new AMAN-TP is analyzed in the context of the existing ATM-System. Potential sources as well as effects of differences are identified. Where possible these differences are analyzed for their impact.